You are here: Home / News / News / #2ndHalf: Walking football gathers pace! 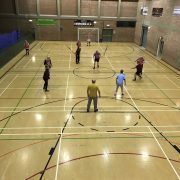 Walking Football, as the name suggests, is a slow-paced version of the beautiful game which is aimed specifically at the over 50’s and is part of our play the #2ndHalf campaign. The game is a great way for the older generation to continue to enjoy sport, stay active and keep fit. 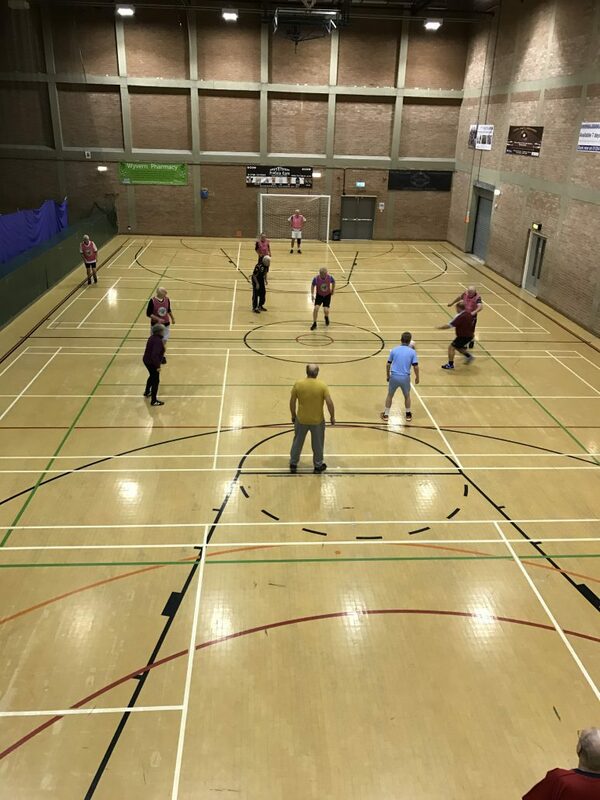 Accrington Stanley are one of many EFL clubs who run walking football sessions and participants come from all backgrounds of the local community to take part. Sessions are held by Accrington Stanley Community Trust at Hyndburn Leisure Centre every Friday at 1.30pm to 3pm. Alongside the physical aspects, the sessions also have psychological and social benefits, an impact on improving self-esteem and confidence, as well as forming new friendships. ”I have played football all my life and as time went on there were many younger players to keep up with, walking football has given me the opportunity to play the sport I have loved all my life as well as keeping healthy and meeting new people.” commented Mark Duckett. The physical benefits of walking football that have been noticed include weight loss, lowered blood pressure, heart rate and better stability. The club also offers an ‘Up and active’ scheme that runs throughout East Lancashire, providing all participants a free weigh in service so that they can keep track of their weight on a weekly basis. Playing walking football allows those who are recovering from an injury or have mobility issues, who may have shied away from sport keep healthy and active. ‘’With being nearly 70 I’d never thought I could play again, walking football allows me to get routine vigorous exercise and it’s the best form of exercise that works for me as I love the sport and the competitiveness of the sessions.’’ remarked John Omerod. For more information please visit www.stanleytrust.co.uk or call 01254 304071.
https://www.efltrust.com/wp-content/uploads/2017/01/walking-football-e1485353226265.jpg 4032 3024 EFL Trust https://www.efltrust.com/wp-content/uploads/2016/06/efltrustlogo.png EFL Trust2017-01-25 14:11:152017-01-25 19:05:47#2ndHalf: Walking football gathers pace!